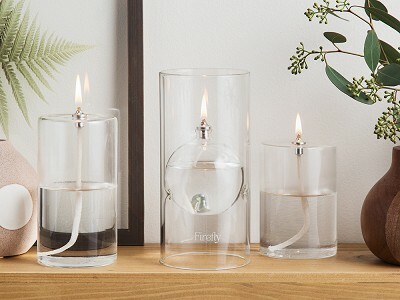 When Firefly Fuel Makers Phil and Susie Tyson were looking for a paraffin oil alternative to burn in their lamps, what they found came up short. So the duo dug deep into fuel research and eventually made their own oil that is cleaner and lasts longer. The Tyson’s fuel is smoke-, soot-, and odor-free, and can last up to twice as long as paraffin can. 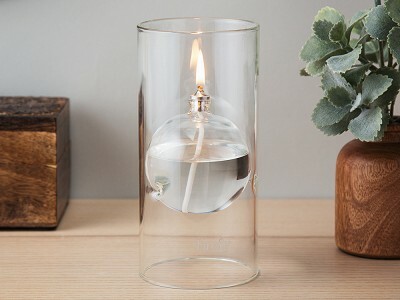 It burns from within refillable candles and lamps made from hand-blown borosilicate glass. 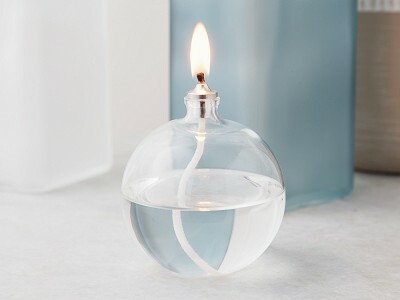 The result is a cleaner-burning warm glow from a vessel that is durable and great to look at. 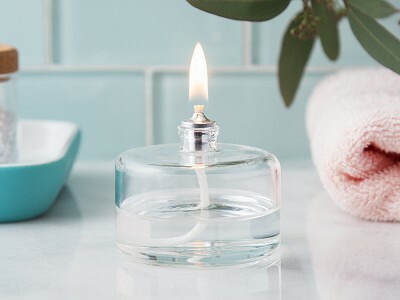 Use the candles and lamps indoors or outside—you can even add citronella or eucalyptus oil to ward off pests outdoors—for a longer-lasting, lovely-looking experience. 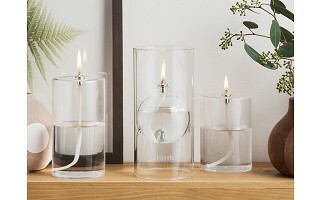 Firefly Fuel recommends filling the oil lamps and candles about 75% full or less. 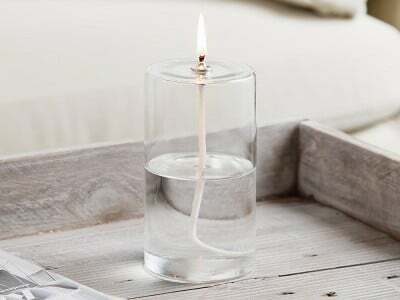 If you overfill the oil candle, it may bubble up and overflow. 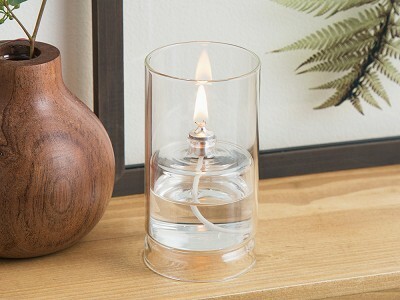 When Firefly Fuel Makers Phil and Susie Tyson were looking for a paraffin oil alternative to burn in their lamps, what they found came up short. So the duo dug deep into fuel research and eventually made their own oil that is cleaner and lasts longer.